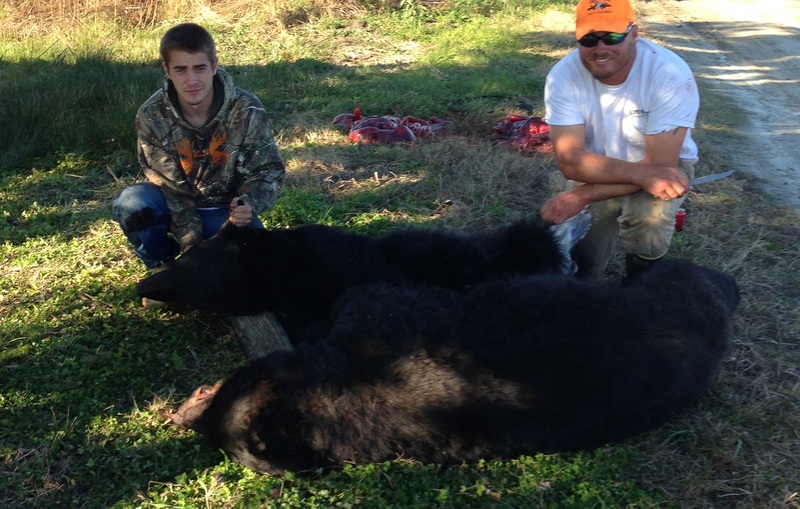 You might be surprised to know that some of the best black bear hunting isn’t all the way up in Maine or Canada, but can be found right here in Northeastern North Carolina. With comfortable temperatures year round our black bears don’t need to hibernate, and that means they get bigger faster than anywhere else. And we have found the perfect spot to do it. Our guides will lead you and your group on a three-day hunt in 2,000 acres of forest surrounded by farmland and only accessible by ATV. The unspoiled land is completely private and is home to some of the highest black bear populations in Eastern North Carolina. When you book a black bear guided hunting trip with Captain Brynner you don’t have to worry about a thing. You’ll have two experienced, professional trackers to help you find the bears and then skinners ready to prepare your kill for meat or taxidermy. 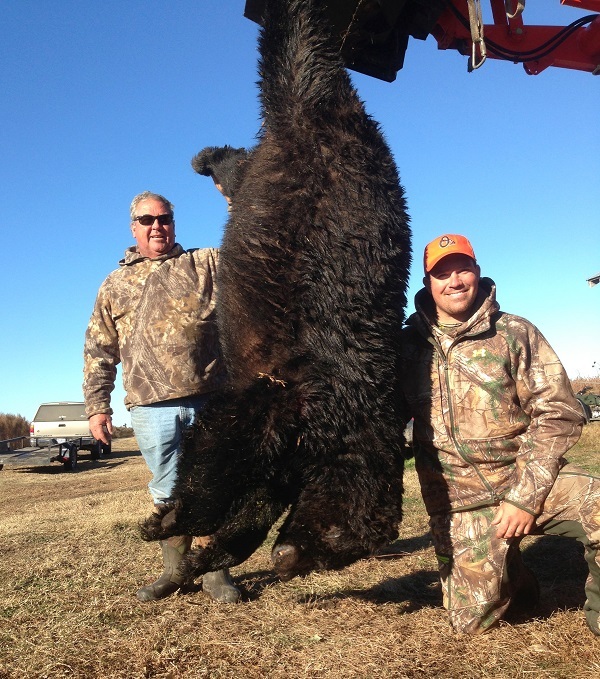 In season there are no laws on times of day that your guided bear hunting trips can happen. We can start early in the morning or afternoon - whatever suits you and your party better. If you’ve been black bear hunting before, then you know it can be the most challenging, and most rewarding big game hunting in North America. Our guides will help you track these ferocious creatures that can grow to be 600 lbs or more and stand seven feet tall. Each day includes a customized lunch like local catch fish frys, North Carolina style barbeque, or homemade Italian, and ends with a comfortable night’s stay at one of the nearby hotels or bed and breakfasts. And with average temperatures around 51 degrees even in the November/December hunting season, you can expect a trip that’s a lot more temperate than anywhere up north. 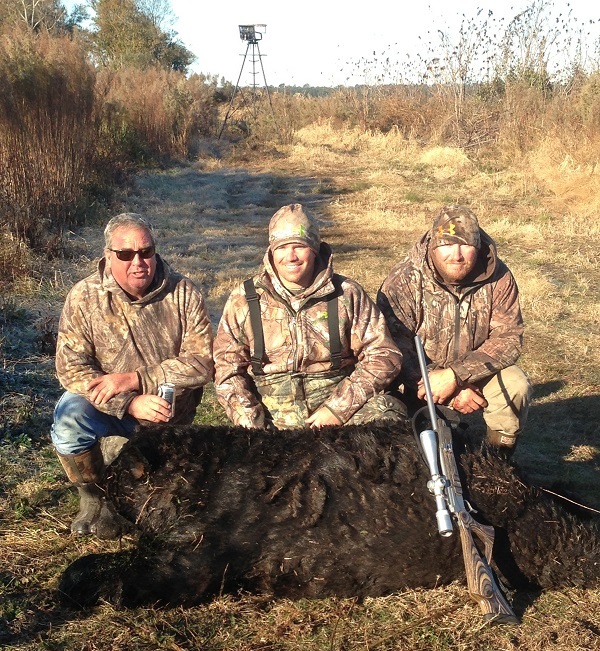 If you’d like to learn more about scheduling a guided black bear hunting trip on our exclusive hunting farm in Northeastern North Carolina densely populated with larger-than-average black bears contact Captain Brynner Parks at 252-473-1934.